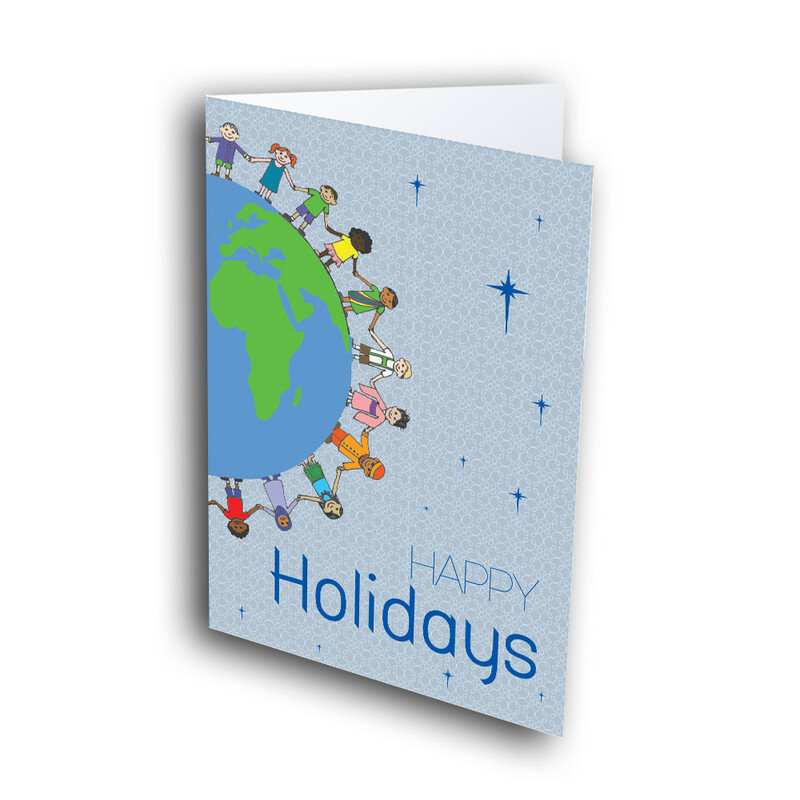 Share the holiday spirit of peace and joy with those around you, by sending this holiday card. This holiday season, send out a wish for peace on earth with this joyful holiday card. 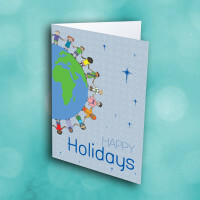 Numerous, diverse people link hands in peace around the globe, in front of a detailed, pale-blue background dotted with stars. 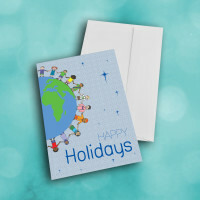 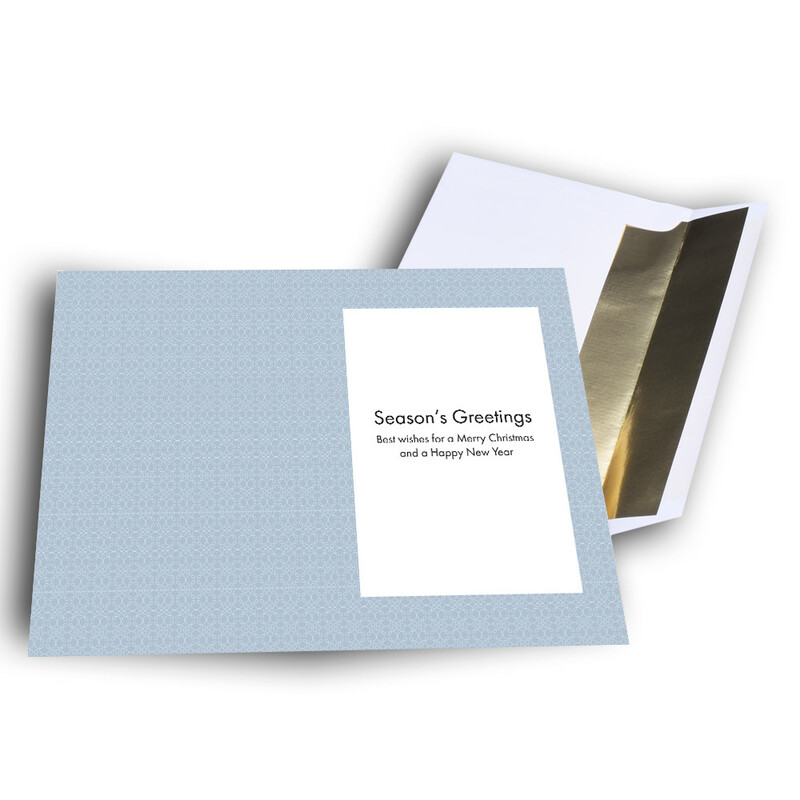 The inside features the same pale-blue background, as well as a warm message. 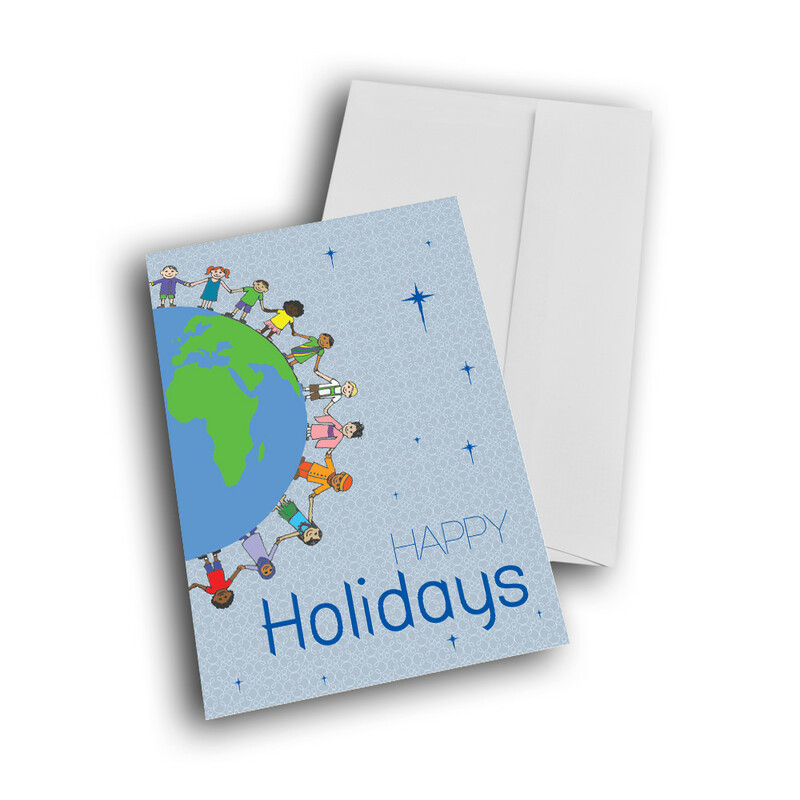 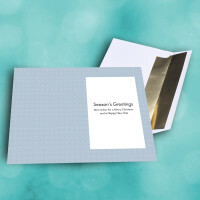 This message can be personalized to give the card your unique touch.